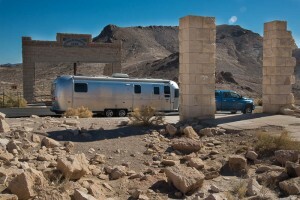 ©Bert Gildart: Made it to Death Valley and got a campsite at Texas Springs. Because of the thousands camped half a mile below for the annual 49ers celebration that was a surprise. Virtually all have generator and they do run them when the are allowed. That’s between the hours of 7 in the morning to 9 at night. Image the racket. 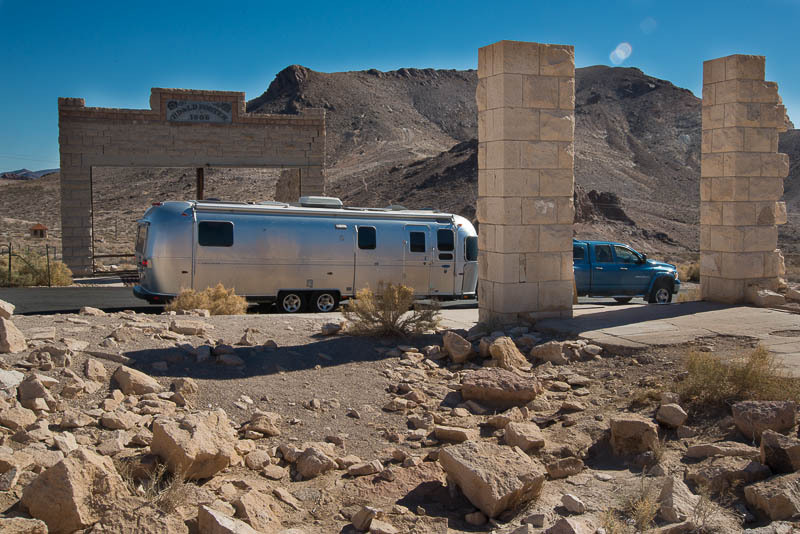 But the key to quiet camping is solar panels, and we have four on top of our Airstream and two that are free to move for precise orientation with respect to the sun. At Texas Springs, generators are prohibited. 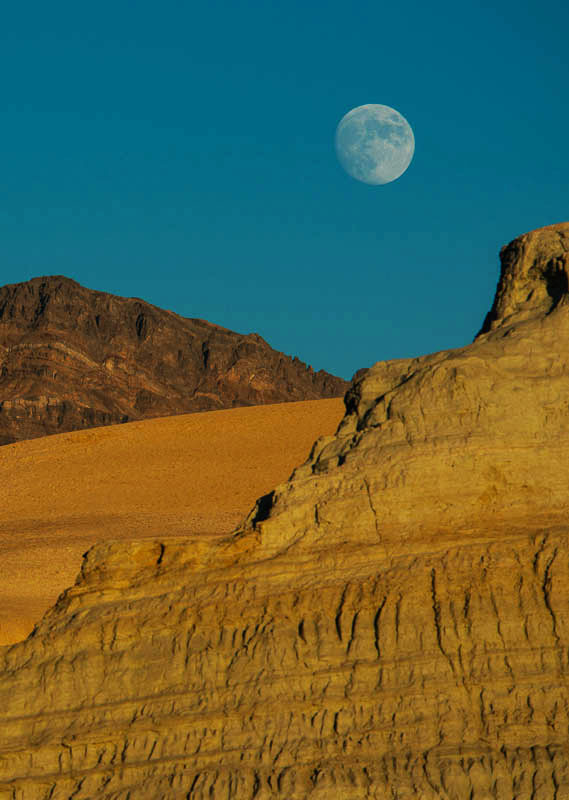 Two images show us visiting Rhyolite Ghost Town located near entry to Death Valley; middle image, moon rise over Texas spring. 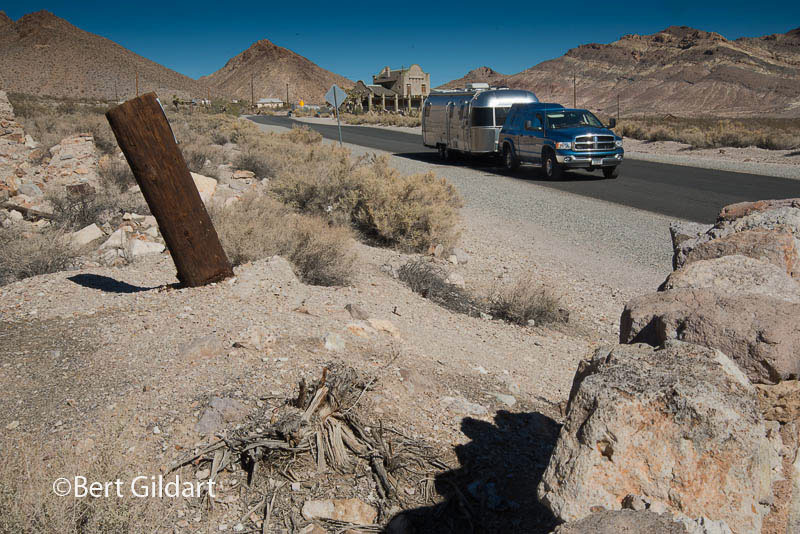 Images posted here include two of our Airstream creeping through the long ago abandoned mining town of Rhyolite located near the entrance to Death Valley. 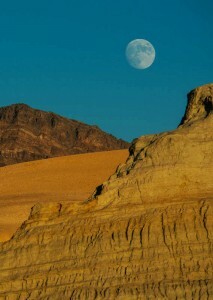 The third represents a relaxed evening watching the moon rise about our campsite. Picture us with a glass of wine, sitting back in easy chairs with the temperature about 75. We’re in heaven, with many 49er activities waiting our pleasure. This entry was posted on Thursday, November 6th, 2014 at 7:31 am and is filed under National Lands, Outdoors, RV Travel. You can follow any responses to this entry through the RSS 2.0 feed. You can leave a response, or trackback from your own site.